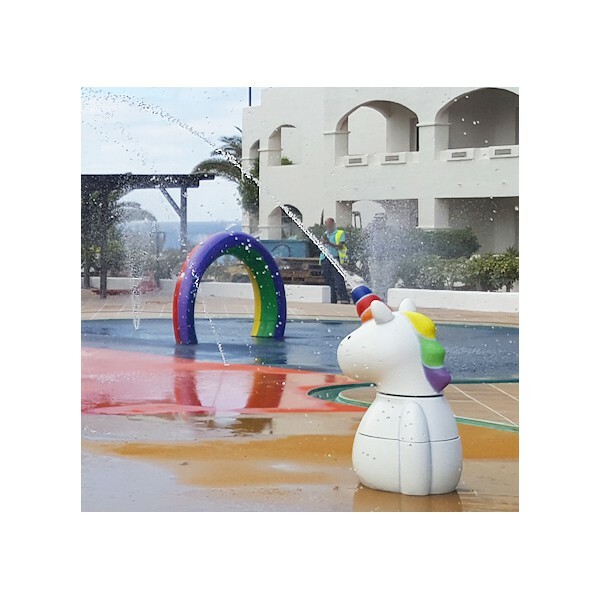 The Mini Rainbow forms part of our Spray Toons line, a selection of aquatic figures that are reminiscent of children’s stories, aimed at developing children’s imaginations in an interactive environment. 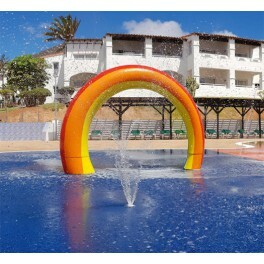 A friendly-looking water game, easy to install and great for waterparks, swimming pools, and children’s play areas. 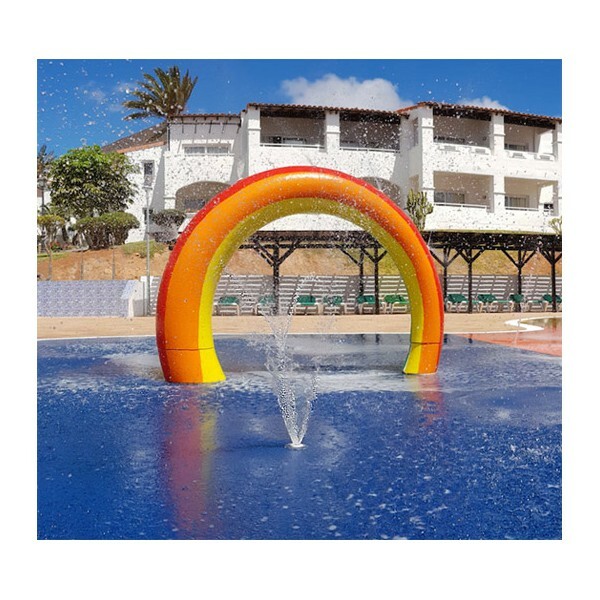 Dimensions (length x width x height): 2,03 x 0,40 x 1,35 m.
Minimum space (floor area of apparatus with the required size of the impact area): 5,30 x 3,40m. Recommended user age for the play element: Suitable for all the family, especially 2-4 year olds. 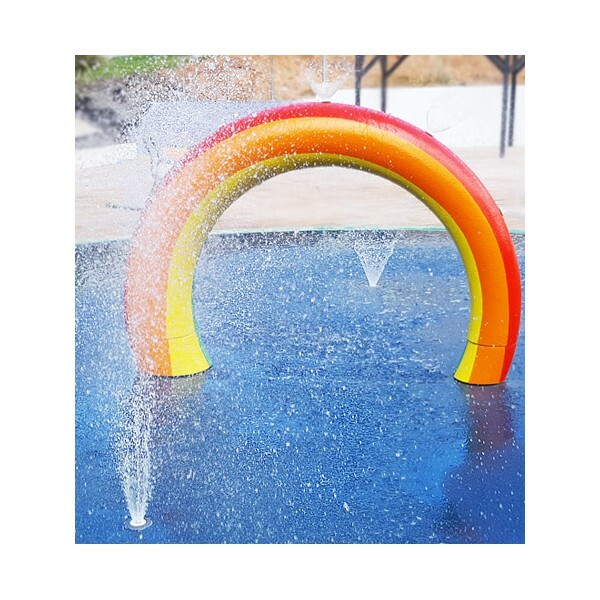 This play element has been designed for the quickest and simplest possible on-site assembly, without the need for special equipment or tools. The water game has been designed based on directives from Standard UNE-EN 1176-1.